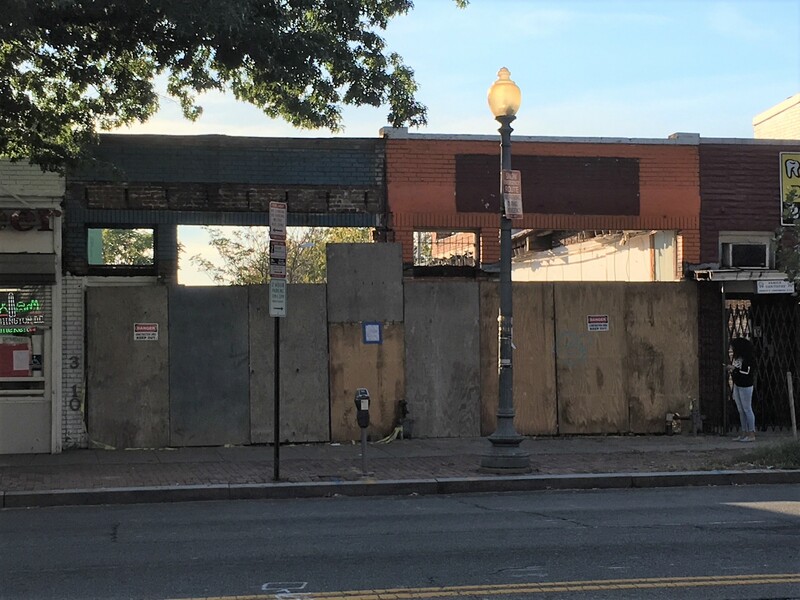 Checking out Progress at 3110-3112 Georgia Avenue | Park View, D.C.
Over a year ago I was alerted that the one-story commercial buildings at 3110-3112 Georgia Avenue had a building permit issued on 5/12/2016 to remove the existing one story structures for new construction. 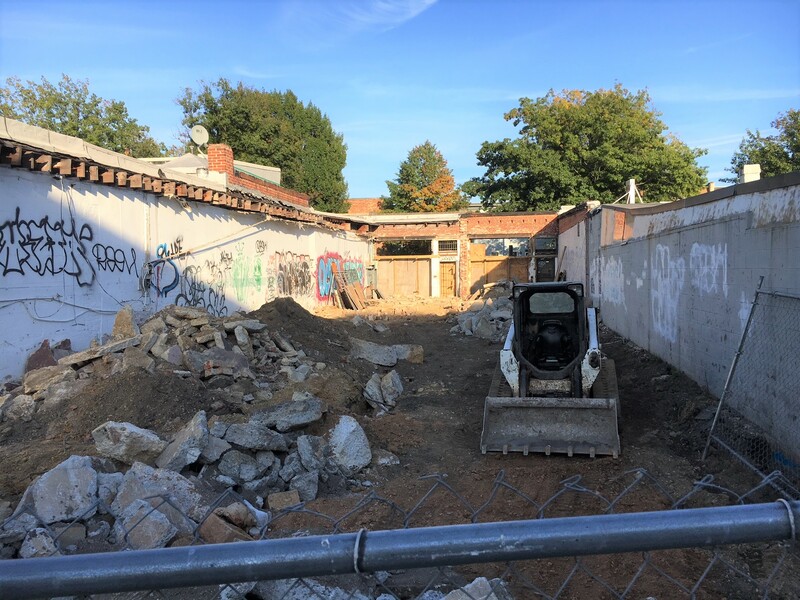 The permits state that the existing party walls are not to be disturbed and includes excavation for a new cellar and construction of a five-story mixed use building. While development of this property hasn’t been moving swiftly, it has been moving. It is located a few doors south of Colony Club and below are photos of its current state. This entry was posted on October 26, 2017 at 7:01 am and is filed under Development. You can subscribe via RSS 2.0 feed to this post's comments. Why has it been this slow? If its DCRA, something absolutely must be done. The permitting process is very, very slow and confusing. When it comes to enforcement, like MPD, DCRA relies on citizens to do their work. The vacant property database is a start, but what are next steps? What are they doing about these vacant properties? looking forward to a great new development, along with hopefully many others.